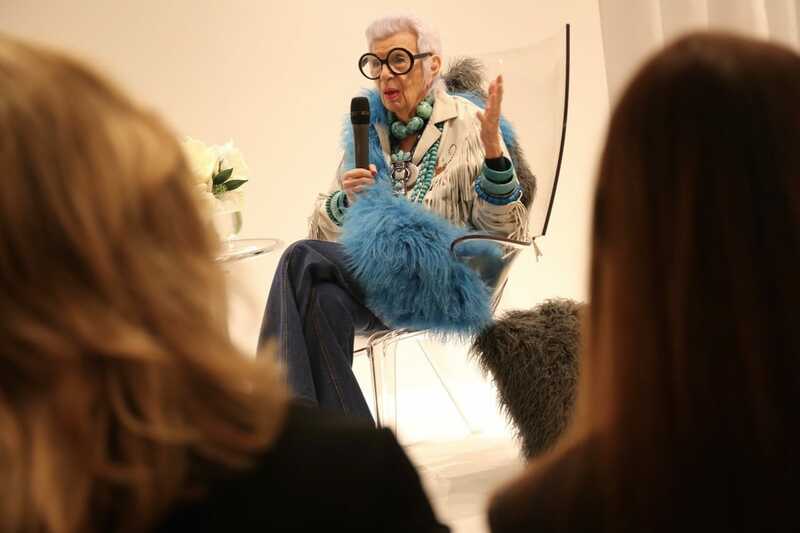 This week fashion icon Iris Apfel swooped into Toronto from her native New York City in celebration of Atelier Swarovski’s holiday collection launch at Holt Renfrew. 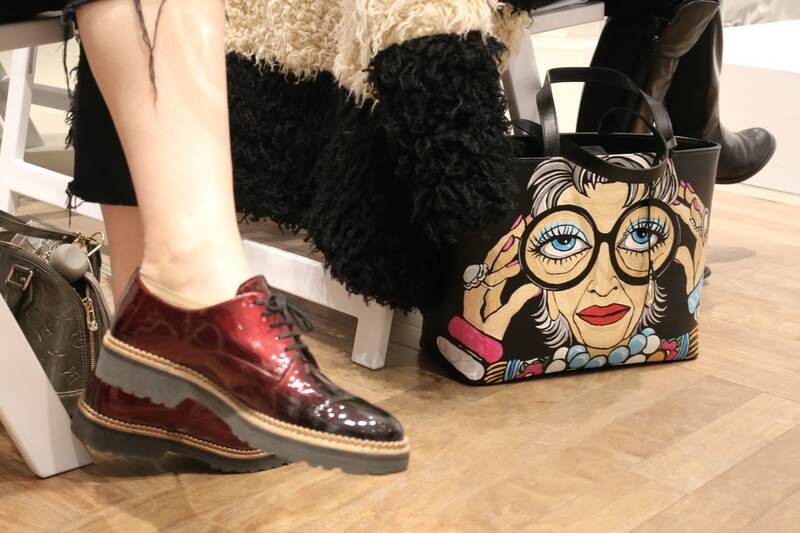 On Wednesday Apfel greeted guests during a public appearance as a friend of the Atelier Swarovski brand. 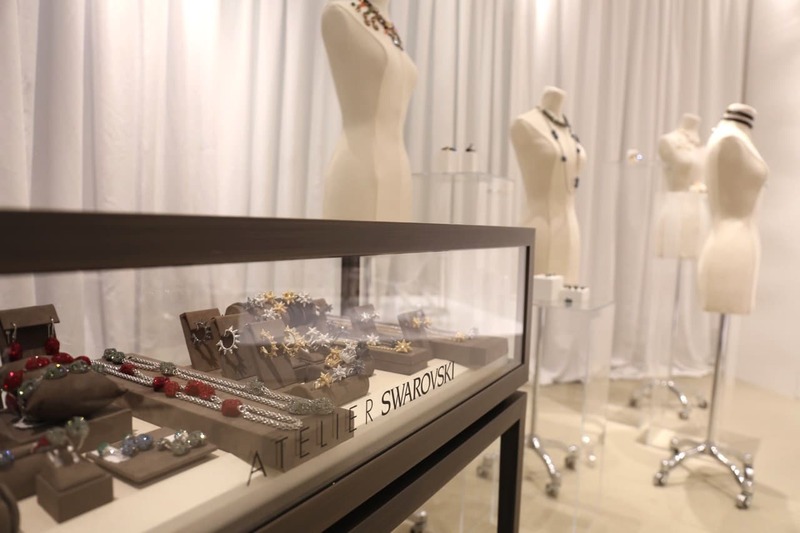 The evening featured Atelier Swarovski’s holiday jewellery including pieces designed in collaboration with some of the world’s leading fashion talents. The Atelier Swarovski by Peter Pilotto collection showcases the design duo’s signature aesthetic, with beautiful kaleidoscopic branches of crystals. The Atelier Swarovski by Rosie Assoulin collection revamps traditional Georgian settings with modern materials, using bold, expressive Swarovski crystal to create an understated statement. 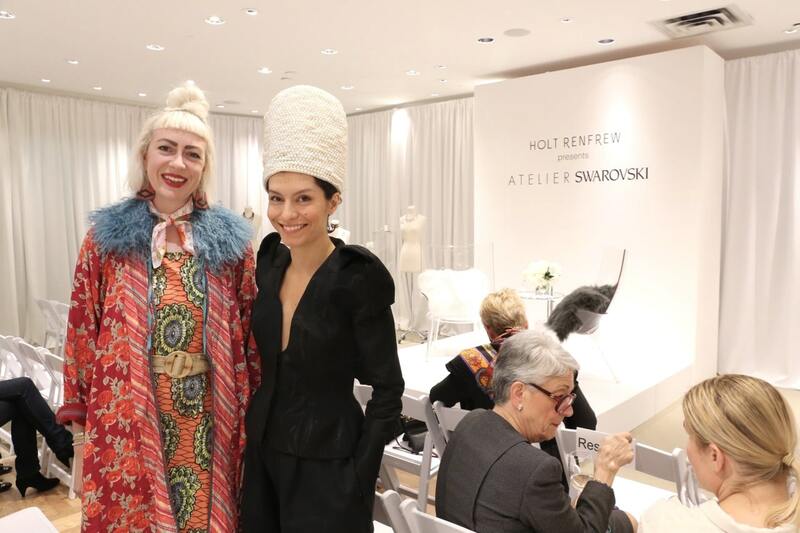 All Holt Renfrew stores across Canada will host a public charity shopping night with 10% of sales from the evening donated to support The Children’s Wish Foundation of Canada. Other celebrity guests making personal appearances for Holt Renfrew and the Children’s Wish Foundation include Jillian Harris in Vancouver, Sangita Patel at Square One in Mississauga, Traci Melchor and Brendon Rodney at Yorkdale in Toronto to name a few. 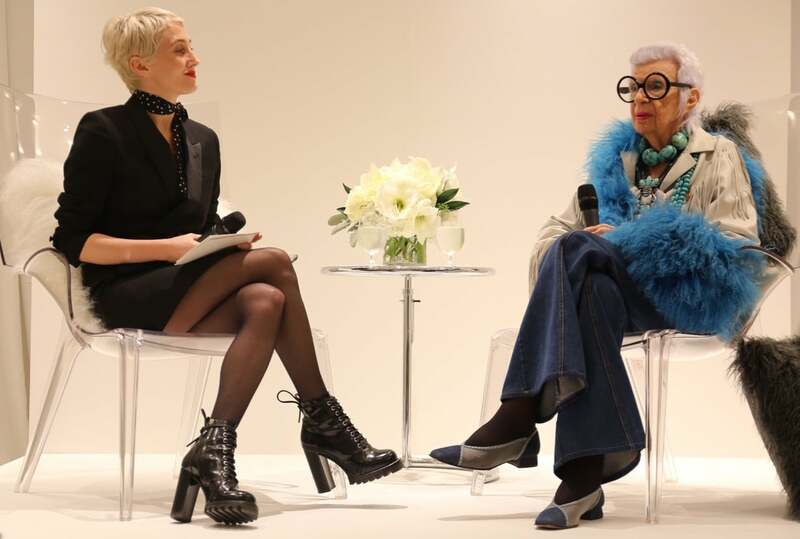 Toronto fashion fans praying for an intimate moment with Iris were granted their wish Tuesday evening as she took to an elegant white washed stage on the third floor of Holt Renfrew in Yorkville. Guests were greeted by celebratory glasses of wine and while perched in their seats enjoyed nibbling on wee tarts, toasts and caviar topped blintz. When simply asked, “What inspires you?” She dryly chirps, “getting up in the morning,” which had the entire room giggling with glee. On the night of the election it was fitting that a member of the audience asked what it was like to work with so many of the past US Presidents (as an interior designer for the White House). She immediately responded, “Nobody has taste! If every First Lady came in and put her stamp on it the place would look like a zoo!” She continued by sharing that the most passionate First Lady she met was Mrs. Nixon. She was apparently keen to learn about design and style from Apfel on many a interior design expedition.